If you love a good cardio workout, you’re on the right track! Cardio is one of the best workouts for keeping your cardiovascular strength strong (hence the name). It increases your lung capacity and boosts your feel-good endorphins. Plus, of course, it burns tons of calories and aids in weight loss. Cardio is very popular, for these reasons and more. But there are also a lot of rumors running around about cardio workouts that just don’t add up. It’s more than one foot in front of the other after all. Here are some of the biggest cardio myths that trainers say you need to leave in your dust. Myth: Cardio is the only key to weight loss. Thirty years ago, most fitness professionals thought this to be true. But research has since shown that there’s far more to the weight-loss equation than just cardio. Strength training and diet play a major role, too. “We now know that up to 90 percent of your weight loss can come from what you eat, not how long you work out,” says Melis Edwards, M.S., running and triathlon coach, and author of Deep End of the Pool Workouts. “Of course, there are always exceptions to this rule. But they are exceptions (i.e., professional athletes).” If you love cardio workouts and are seeking a caloric burn, she suggests adding in a few more days of weightlifting and fine-tuning your eating habits. Myth: Any cardio under an hour is useless. In reality, half an hour a day of cardio, be it running, the elliptical, the stair climber, jumping rope, or cycling, works wonders. “Rather than forgo your workout altogether because you’re trying to hit five cardio sessions a week (also recommended), some days this may end up being several bouts of ten-minute workouts—which still count,” says Edwards. “A little cardio here and there will add up to your overall goals.” Don’t worry so much about the time you’re on the machine—there’s no need to sweat your life away. Focus more on the effort you put into shorter bursts of time and you’ll reap the same benefits. Myth: Cardio is the best way to tone. Myth: To improve your cardiovascular conditioning you need to get your heart rate up as high as possible. He recommends that most people exercise in the range of 60-80 percent of maximum heart rate, depending on their condition and goals. Myth: Aerobic exercise isn’t the same as cardio. Exercises like walking, running, dancing, and biking, that we usually call “cardio,” however, are aerobic exercises he explains. So, you can fit cardio into your daily life in ways beyond the gym. Myth: Cardio burns way more calories than strength training. Myth: Cardio on an empty stomach will make you burn more fat. Performing a cardio workout first thing in the a.m. before you’ve eaten anything can actually have adverse effects and cause muscle loss. “The body goes into an overnight fast leaving you with an empty stomach, causing your energy levels to get depleted and affecting your overall performance,” says Brooke Taylor, fitness instructor and creator of TFIGNITE PROGRAM and Taylored Fitness. “What I see more often than not with my clients is a workout cut short and an afternoon eating binge because they are starving!” Her best advice is to eat breakfast 90 minutes before a workout or have a small snack 30 minutes prior. Myth: You have to go to a gym to do cardio. As long as you get your heart rate up, any exercise or non-exercise you’re performing counts as cardio, according to Dr. Zehndorfer. So, if you can’t get to a gym, you can still count housework, gardening, shopping, etc. as a workout, if it causes you to huff and puff. “Cancel a cleaning service and do it yourself so that it counts as your workout. 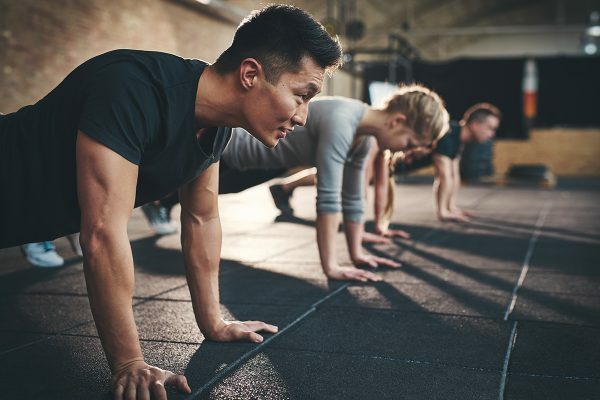 You’ll be fitter with extra cash in your pocket!” You can also prioritize cardio with bodyweight routines and moves, such as jump squats, burpees, jumping lunges, mountain climbers, and more. Cardio is a staple part of any fitness routine—and for good reason! The physical benefits to your body internally and externally go pretty unmatched. 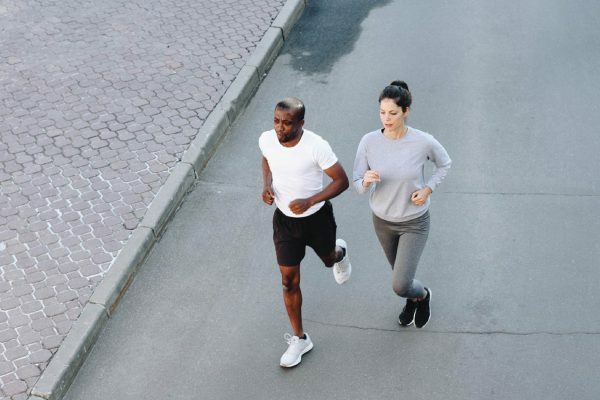 Stay aware of these common cardio myths, though, in order to maximize your time on the treadmill, bike, elliptical, or whatever your machine de choix is. Rowing is great for strengthening your arms and legs, but that’s not all. Try this plan to tone up your core in no time.